Not to get DEFENSIVE or anything, but.....who is our CAPTAIN and who is taking care of our team at the moment? Disappointed Rangers fans across the globe unite! 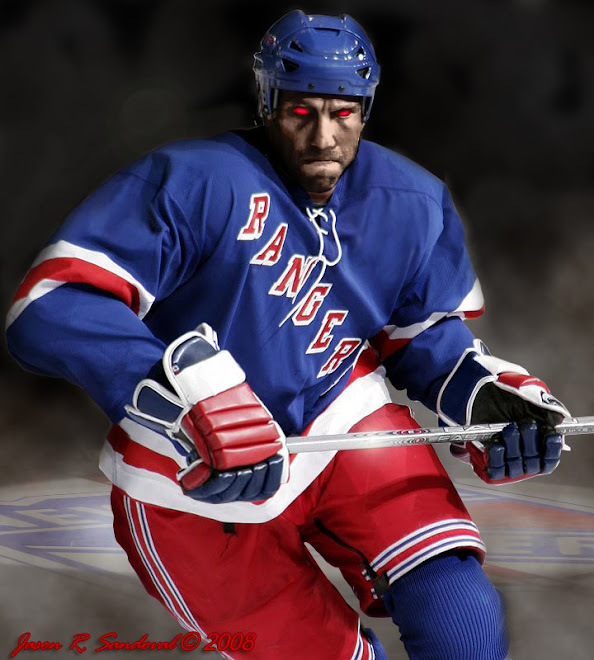 Never to question the brilliance and arrogance of Blueshirt GM Glen Sather, we have signed Wade Redden from the Ottawa Senators and re-signed Michal Rozsival to reinforce our blue line. Despite Redden's play last season, I do believe this to be a solid addition to our lineup --- the Senators suffered in spotty goaltending and at a certain point in the season, everyone gives up -- Wade's track record is one of a solid top five defenseman to play quarterback to Staal, Girardi, Tyutin and Rozzy. Maybe Bobby Sanguinetti may be ready for the big leagues. Fine. Where is the goal scoring? Though, we did sign Aaron Voros (a Sean Avery wannabe) & Patrick Rissmiller. Who? This is the operative question as we are more-or-less a skeleton of the 2/3 full team we were last season. 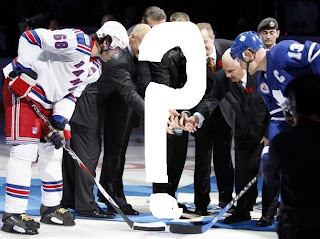 Rangers fans are screaming and we can only hope that Sather and the DOLAN Empire has made a secret deal with both Sundin and Jagr (brillliance if so) -- and are playing hard to get with the media to draw attention to it. ...does someone want 2 season tickets in the 117 section? Things are looking up ... depending on your perspective. This just in .. In addition to trading for Zherdev and freitsche (for tyuts and backman). It looks like we may have just picked up Kalinen (terms?) and Naslund (2 years/9mil). I feel like I dont even know my own team now, though. I would tend to lean the 'things are looking up' on this new design of a team. It feels like potential.